Set directly on Soda Creek, this home is the closest one can get to a camp-like setting and still be walking distance to downtown. One of Joe Patrick Robbins Architecture early designs, the home brings the outdoors in with large windows and the sounds of the creek in every room of the home. Located on a private cul-de-sac bordering Soda Creek Elementary School, the home offers great views of Mt. 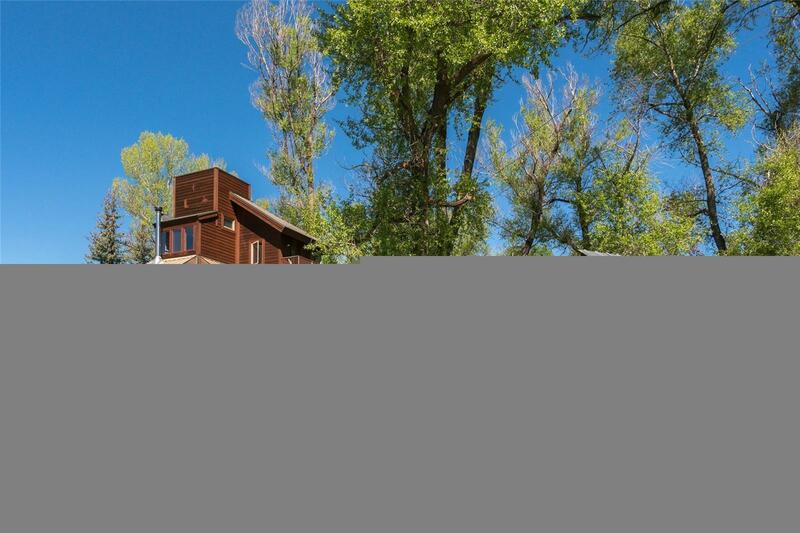 Werner and is beautifully landscaped with huge Cottonwood and Pine trees. For a smaller home, the living space is generous with little wasted space. The private master bedroom is on the upper level, giving the main level a nice dining area and living area with a wood stove. The lower level can be used as a family room or converted to an additional bedroom. This is one of the unique opportunities in downtown Steamboat to live on a creek with fishing right out the backdoor.